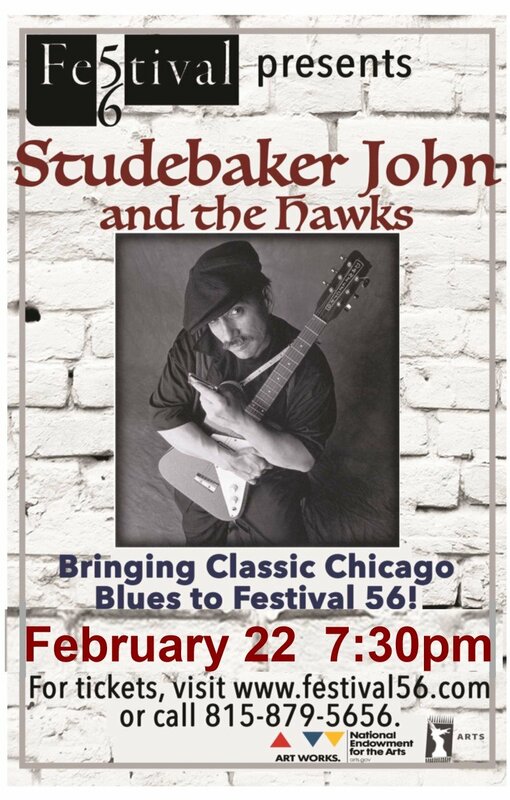 Studebaker John is a well known and legendary Chicago blues guitarist, singer, and songwriter. In addition to releasing 18 albums with his band, the Hawks, his music has also been featured in numerous movies, television shows, and tv commercials. Shake off your winter blues with Festival 56!